Coldplay quietly released a brand new song today. ‘Atlas’ will be included on the soundtrack to Hunger Games 2. 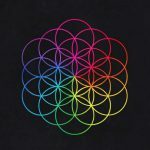 The song was recorded for the movie and is not planned to be included on Coldplay’s next album. ‘Atlas’ features the lyrics ‘caught in the fire, say oh’ suggesting that Chris Martin wrote the song specifically for the movie. The full title of the film is ‘The Hunger Games: Catching Fire’. The soundtrack to the first movie features music by The Arcade Fire and Taylor Swift. Coldplay’s last studio album was ‘Mylo Xyloto’ in 2011. During their Australian tour in 2012 Martin told the Brisbane audience that the band were planning on a three year break after the tour.